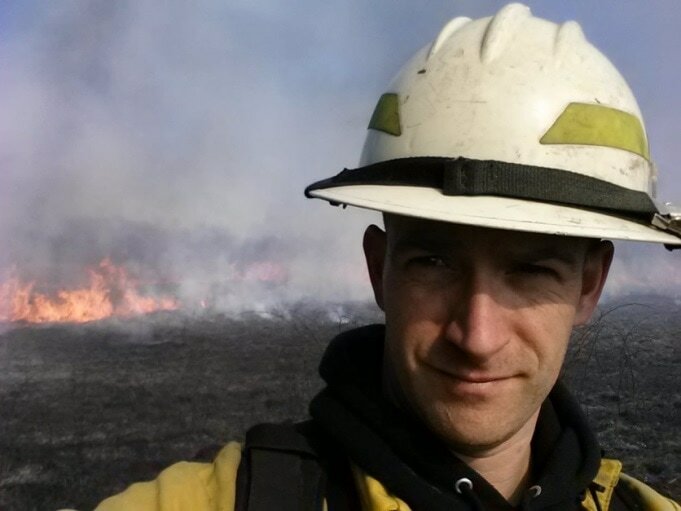 As the Fuels Specialist for the Shawnee National Forest, a division of the USDA Forest Service, Scott Crist is responsible for planning, implementing, and monitoring prescribed fires in a variety of terrain and fuel types across southern Illinois. He began his career in forestry in 1994 with a summer job with the City of Decatur Forestry Department, before working temporary positions in Idaho, Colorado, Wyoming, North Carolina, and Washington for the Forest Service, National Park Service, and US Fish and Wildlife Service. He served as a Fire Suppression Crew Foreman in New Mexico for three years before coming to the Shawnee, where he has been since 2003. His fire career has taken him to 25 states. He is qualified as a Division/Group Supervisor and Prescribed Fire Burn Boss Type 2. He serves as the Operations Section Chief for the Shawnee’s Type 3 Team and as an alternate Division Supervisor with the Eastern Area Type 2 Team. He also teaches a number of classes and is in the Advisory Board for the Oak Woodlands and Forests Fire Consortium. ​ In his spare time he enjoys traveling, cooking, photography, watching and playing sports, and spending time with his son.